The Hamptons International Film Festival’s Screenwriters Lab, now in its 19th year, is an intimate gathering that takes place each spring in East Hampton, New York. The Lab develops emerging screenwriting talent by pairing established writers and creative producers with up-and-coming screenwriters (chosen by HIFF in collaboration with key industry contacts). We welcome feature length scripts of all types and about all subject matter. Note: One of the female screenwriters selected will receive additional support from the Melissa Mathison Fund, established in 2016. Named for the late Hollywood screenwriter, the Fund is instrumental in ensuring that female voices are showcased for years to come. Learn more and donate today! The mentors advise in a one-on-one creative setting, while additional events bring the participants together with board members, the local artistic community, and other friends of the festival. Additional events throughout the weekend include a networking cocktail reception with other artists and writers, as well as a Master Class given by a celebrated screenwriter. With scripts from accepted writers produced year after year, the Lab continues to be an inspiring and safe place for artists to find and hone their creative vision. The 19th Annual HIFF Screenwriters Lab is April 5-7, 2019. Annabelle Attanasio’s MICKEY AND THE BEAR premiered at South by Southwest 2019. Three alumni projects, all from female filmmakers—NANCY by Christina Choe, AND BREATHE NORMALLY by Ísold Uggadóttir, and DEAD PIGS by Cathy Yan—won awards for their world premieres at the 2018 Sundance Film Festival. AND BREATHE NORMALLY and DEAD PIGS screened at HIFF 2018, and AND BREATHE NORMALLY won the 2018 Brizzolara Family Foundation Award for Films of Conflict & Resolution. 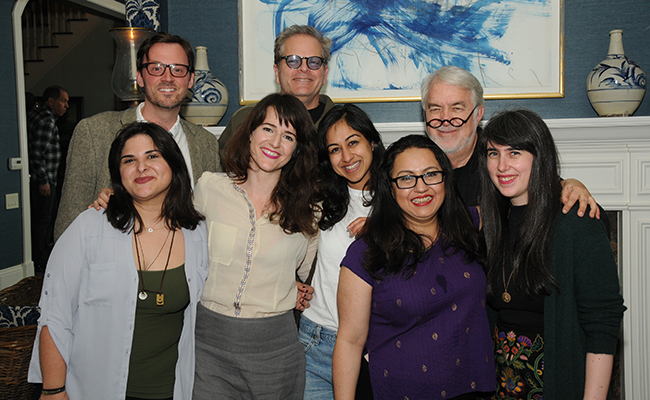 Since its inception, over fifty screenplays have taken part in the annual HIFF Screenwriters Lab. Highlights since the Lab’s inception include Michael Tyburski and Ben Nabors’ THE SOUND OF SILENCE, starring Peter Sarsgaard and Rashida Jones, which premiered at the 2019 Sundance Film Festival; Destin Daniel Cretton’s SHORT TERM 12, starring Academy Award®-winning actors Brie Larson and Rami Malek, which won the Grand Jury and Audience Award at SXSW in 2013; Justin Schwartz’s THE DISCOVERERS, starring Griffin Dunne, which made its world premiere at HIFF 2012; Sara Colangelo’s LITTLE ACCIDENTS, which premiered at the 2014 Sundance Film Festival, starring Elizabeth Banks and Chloe Sevigny; and Claudia Myers’s FORT BLISS, starring Michelle Monaghan and Ron Livingston, which was released in 2014. Recent mentors at the lab include Alex Dinelaris (BIRDMAN); Nicole Perlman (GUARDIANS OF THE GALAXY); Debra Granik (WINTER’S BONE, LEAVE NO TRACE); Oren Moverman (THE MESSENGER, LOVE AND MERCY); Michael Cunningham (THE HOURS, EVENING); James Vanderbilt (ZODIAC, TRUTH); Robin Swicord (THE CURIOUS CASE OF BENJAMIN BUTTON); Mark Heyman (BLACK SWAN, THE SKELETON TWINS); James V. Hart (CONTACT, HOOK); Rob Siegel (THE WRESTLER, THE FOUNDER); Anna Boden and Ryan Fleck (HALF NELSON, MISSISSIPPI GRIND); Sabrina Dhawan (MONSOON WEDDING, COSMOPOLITAN); David Siegel (WHAT MAISIE KNEW); Alec Sokolow (TOY STORY); Hawk Ostby (CHILDREN OF MEN, IRON MAN); Billy Frolick (MADAGASCAR); J.D. Zeik (RONIN); J. Robin Baitz (PEOPLE I KNOW, THE SUBSTANCE OF FIRE); Ted Griffin (OCEAN’S ELEVEN); Whit Stillman (METROPOLITAN, LOVE AND FRIENDSHIP); Ira Sachs (LITTLE MEN, LOVE IS STRANGE); Andy Bienen (BOYS DON’T CRY); Jeff Sharp (Producer, THE YELLOW BIRDS, EVENING); Lawrence Konner (The Sopranos, Boardwalk Empire); Maria Maggenti (THE INCREDIBLY TRUE ADVENTURES OF TWO GIRLS IN LOVE); Gregory Widen (HIGHLANDER, BACKDRAFT); Mark Christopher (54); Maggie Greenwald (SONGCATCHER, BALLAD OF LITTLE JO); Laurie Collyer (SHERRYBABY); Lawrence Lasker (SNEAKERS, WAR GAMES); Chap Taylor (CHANGING LANES, NATIONAL TREASURE); and Dylan Kidd (ROGER DODGER, P.S.). 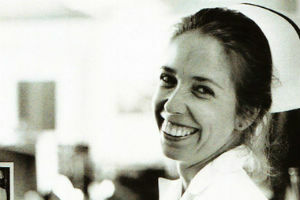 Established in 2016, the Melissa Mathison Fund, named for the late Hollywood screenwriter, supports the annual Lab. In particular, the Fund is instrumental in ensuring that female voices are showcased for years to come. Learn more and donate today!